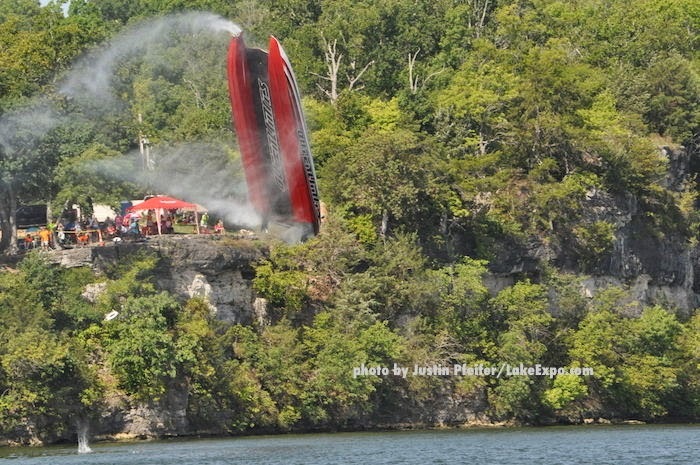 There have been boat crashes at the Shootout before, but nothing as spectacular as this one of the catamaran "OuterLimits" driven by Joel Begin and Mike Fiore. Update: Mike Fiore, the owner of Outerlimits died on Tuesday August 26th, 2014 due to complications after surgery for his injuries. This is the first death from an accident at the Shootout since it began.